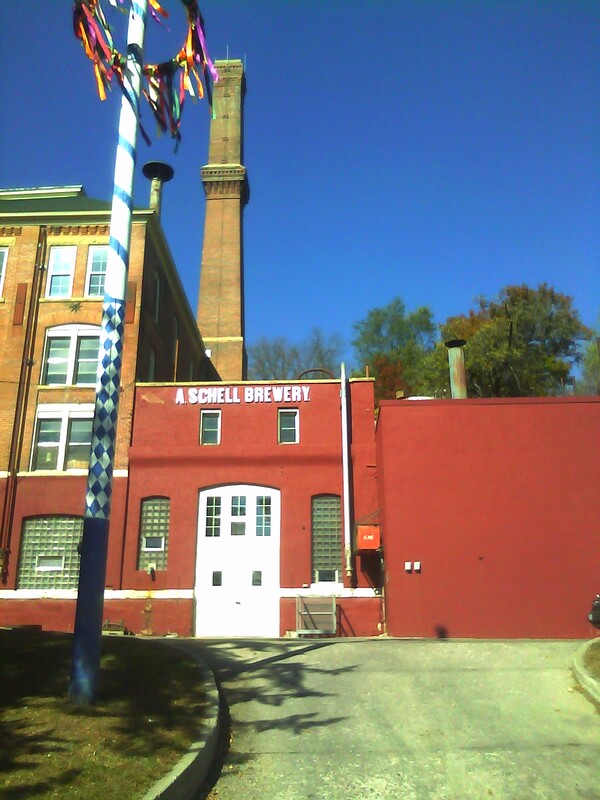 ← This Week’s Post: History and Reviews from Schell’s Brewery! Welcome to the second installment in The Local Mash series highlighting local Minnesota breweries. This week I will take you on a bit of a virtual tour of the historic August Schell Brewery, located in New Ulm, Minnesota. I recently visited the brewery for the first time, and it left quite a positive impression on me, further deepening my appreciation for Schell’s beer. I am thoroughly excited for this post and I will do my best to recall much of the vivid history of brewery and to discuss their most recently released beer. This post is also a treat in that there are many photos from the tour, some will be displayed here in the post, but I will direct you to check out my pictures on my Flickr page, the Schell’s website (also a great historical resource!) but more importantly, the website of Kyle Zempel, one my excellent tour comrades, who took some excellent photos, unfortunately I cannot post them here, but please do check out the gallery at this link. His images are strikingly beautiful and certainly worth your time to appreciate them. Based on my interactions with Kyle and the quality of his photographs, I would recommend him if you are looking for a photographer for an event. So, off we go, to scenic New Ulm, just under 2 hours drive southwest from the Twin Cities. The name of the original settlement is derived from the town of Ulm in the province of Wurttemburg, Germany, an area that many emigrated from. The Germanic influence of the first non-Native American settlers in the 1850s is unmistakeable throughout the town’s architecture and cultural festivals. Of the most treasured of the German influences (and most known by people not from the area) is the August Schell Brewing Company (Schell’s). Founded in 1860 as a family business by August Schell and brewmaster Jacob Bernhardt, it is the second oldest family owned brewery in the United States after the Yuengling Brewery from Pottsville, Pennsylvania, founded in 1829 (officially the oldest operating brewery in the United States). The location of the brewery is just 2 miles southeast from downtown New Ulm close to the banks of the Cottonwood River. I have visited a good share of breweries, and the physical grounds that Schell’s is located on is the most beautiful I have seen (though New Glarus’ new hilltop brewery is quite a sight as well). Backed up against the hillside of the valley is the brewhouse, with the museum/gift shop/tasting room building just down the slope and the regal Schell’s mansion a stones throw to the south. The location was an ideal setting for a brewery with an artesian spring (still running, though no longer used for brewing), and the Cottonwood River to provide ice during the winter for use in refrigerated storage and lagering. There are beautiful gardens and a deer park on the estate as well (which I wish I would have explored further). After surviving the “Dakota Conflict” unscathed in 1862, which saw much of New Ulm and surrounding towns burned and ransacked by Sioux Indians that were pushed to their breaking point by the U.S. government’s takeover of their lands (amongst other mistreatment), the next milestone in the brewery came when Jacob Bernhardt fell ill and was forced to sell his shares in the brewery, which August Schell purchased, making the brewery a family owned business. Once August, at age 50, became unable to continue running the brewery and business, he put his son Adolph in charge of management and his son Otto in charge of the brewing. The Schell’s mansion was built in 1885 and shortly after in 1891 upon August Schell’s passing, his son Otto was elected president of the company with August’s wife Theresa vice-president. Otto remained president until his untimely death in 1911, followed just 4 months after by his mother Theresa. Once the dust settled, the Schell’s family namesake at the head of the company came to an end. George Marti who married Emma Schell (August and Theresa’s daughter) became the new president and has carried the Marti name forward in the presidency up to the present day with Ted Marti currently as the acting president. The company is still owned by descendents of August and Theresa Schell however, despite the name of the presidents. 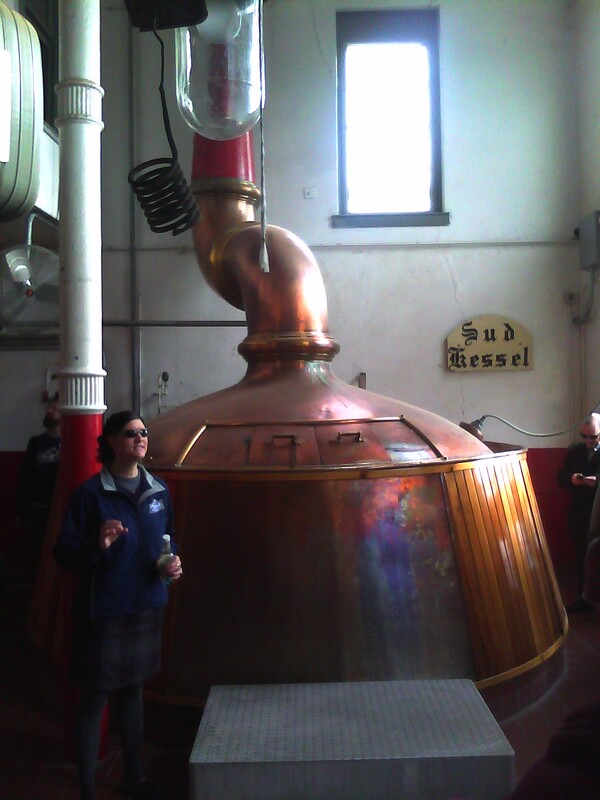 The old copper brew kettle with our excellent tour guide Claire. Now that you have some idea of the history, I’ll briefly cover (though pictures do the best job) what the brewery looks like today and how it functions. 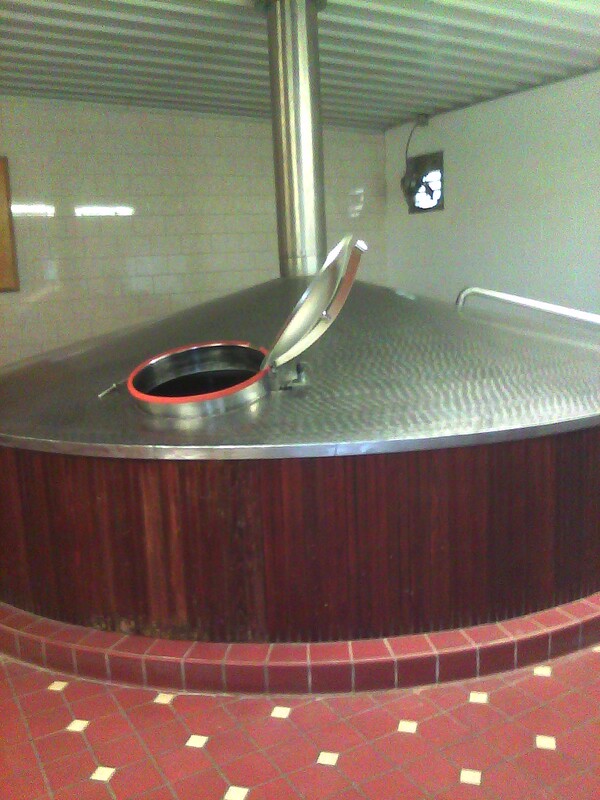 The old copper brewing kettle was the aesthetic highlight of the indoor tour of the brewery. It is no longer used, but serves as a warm glowing reminder of the rich history of the premises. (This is my photo, but do check out Kyle’s gallery for some high quality shots that really do it justice). Up a flight of stairs from the old kettle, past the grain room (be sure to check out the photos of all of the bags of malt, which are rolled in by hand on two wheel carts! ), and up one more flight of stairs we got a chance to view the current brewing room. This modern system is capable of brewing 150 barrels (4,650 gallons) at a time. Don’t worry if you don’t recognize all of the names of the brewing equipment, I will do a post specifically about the brewing process in the future. 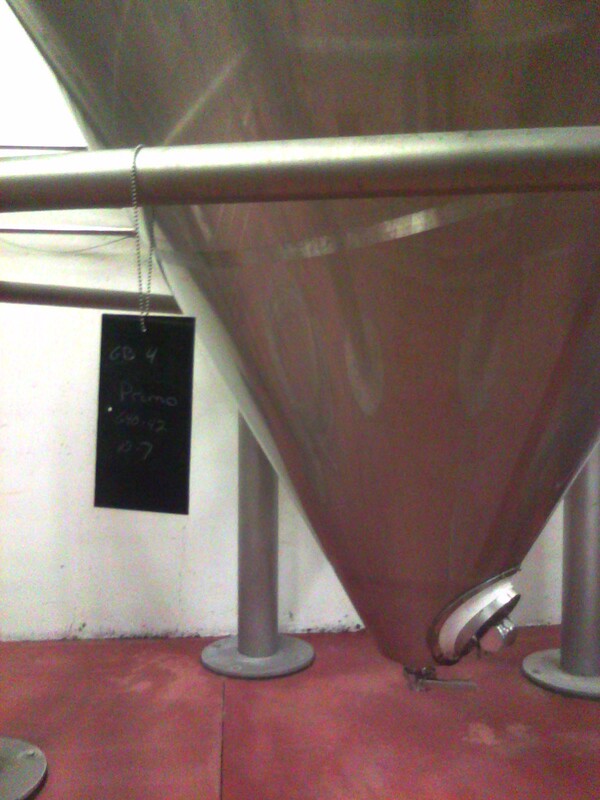 This is one of the 22 fermenters where yeast is added and the the liquid goes from being wort to beer. They range in size from around 200 barrels to 750 barrels at Schell's. Pilsner– Very well done to style, crisp and bright hop presence. All the better because this style is best fresh. Firebrick– A caramelly/bready amber lager, lightly hopped. Hopfenmalz– Amber lager. Light toast and caramel with a bit of citrus hoppiness. Stout– Sweet stout. Light bodied for a stout, but done to style, very drinkable with some light roast and a bit of hops. Dark– Dark lager. Light bodied with some caramel, great sessionable dark beer. Oktoberfest– Märzen lager. I’ve told you about this one before, one of my favorite traditional style Oktoberfests. Bready malt and sweet with just a slight dose of hops on the finish. Hefeweizen– Very traditional German style wheat beer with yeast in it. As with the Pilsner, best fresh and it doesn’t get much more fresh or traditional than from Schell’s. Snowstorm– Winter Seasonal. The style of beer rotates yearly and this year’s will be a Wee Heavy (Scotch style ale). Expect a very present malt character with minimal hop presence. It has just hit stores this week, so go try some. Mouthfeel: Rich carbonation and lightly effervescent, fairly light on the palate, sweet throughout but with a bit of bitterness on the end. Overall: This tastes like it was well done to style, but who’s to say, I’ve never had a Burton ale before (and you probably haven’t either!). Great caramel sweetness with some brown sugar and dark fruits all balanced out by the dry hopping and allowed enough time (aged 3 months before distribution) to blend the flavors together. This is a fantastic beer and I can say from my own experiences that it compliments cinnamon rolls, camp fires, and relaxing fall evenings. So there you have it, some history, some visuals and a review of an excellent beer all from a legendary local brewery right here in Minnesota. I highly recommend touring the Schell’s facility, it would make for a great day trip with friends. 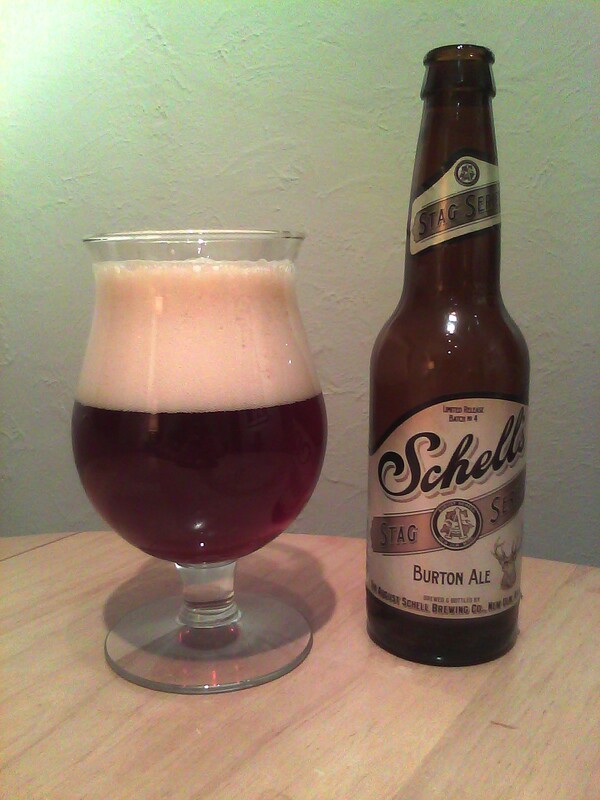 But, if you can’t make it to New Ulm any time soon, you can get a taste of traditional German beers at your local beer store and if you get a chance to pick up some Burton ale, do it soon because it is a limited release, and it won’t be brewed again (by Schell’s). It should age well at 8%, so you can stick a couple of bottles away for a treat down the road. I hope you enjoyed this quasi virtual tour and look for more photos to be posted to my Flickr page and one last time, to get some great photos from the tour, check out Kyle’s gallery. Enjoy the weekend, have a happy halloween and go snap up some bottles of Surly Darkness on Monday if you are able. I hope to be able to give you a mid-week review of this year’s batch, fingers crossed. Until next week, drink well! Posted in The Local Mash and tagged beer review, brewery tour, burton ale, craft beer, minnesota brewery, new ulm, Schell's, stag series. Bookmark the permalink.